Gagnon, Annie Joan. "Paul Demers". The Canadian Encyclopedia, 23 July 2018, Historica Canada. https://www.thecanadianencyclopedia.ca/en/article/paul-demers. Accessed 23 April 2019. Paul Demers, singer, songwriter, composer and teacher (born 9 March 1956 in Gatineau, Québec; died 29 October 2016 in Orléans, Ontario). 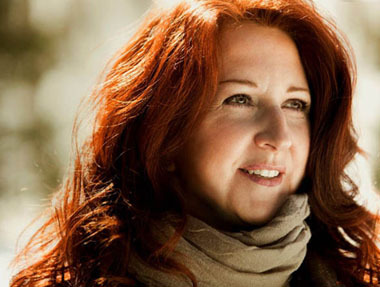 Recipient of two SOCAN awards, Demers was one of the founding members of the Association des professionnels de la chanson et de la musique (APCM) and wrote the song “Notre place” (Our Place), the official anthem of the Franco-Ontarian community. His body of work and artistic contribution shaped the next generation of francophone artists in the music industry. At an early age, Demers became interested in the arts, principally music, film, theatre and painting. Demers was inspired by the Beatles (and especially the genius of Paul McCartney), Bob Dylan, Harry Belafonte, Robert Charlebois, Gilbert Bécaud and Charles Trenet. But it was through Hugues Aufrey’s chords that Demers taught himself how to play guitar, around the age of 10. As a teenager, Demers moved to Ottawa and attended Champlain High School, located in the west end of the city. He got his start in music in the Outaouais, playing classic French songs along with his own compositions. During his performance at the annual Théâtre Action festival in Sturgeon Falls in 1978, Demers caught the attention of Alain Grouette, who later asked Demers to join him in making music. The band Purlaine was formed around this time; it was eventually nicknamed the PAD trio in honour of the musicians in the group (Robert Paquette, Marcel Aymar and Demers). In 1981, at the age of 25, Demers learned that he had Hodgkin’s lymphoma, a cancer of the lymphatic system. The disease was tenacious, but treatable. Demers underwent experimental treatments at the Ottawa Hospital and eventually beat the cancer. In 1985, Demers performed at the Nuit sur l’étang (Night on the Pond) music festival in Sudbury, marking his more or less official return to the music scene. He sang the song “Mademoiselle” which, to Demers’ great surprise, earned him the Bertrand and André Paiement scholarship from the Assemblée des centres culturels de l’Ontario. The award allowed Demers to record the song as a “45” (vinyl record). Shortly after, while Demers was still convalescing, music producer François Dubé asked Demers to write the words to a song that would be performed at a gala celebrating the coming into force of the Loi sur les services en français (French Language Services Act, known as Bill 8). This proved an interesting challenge for Demers, who had always been attracted to and inspired by Franco-Ontarian culture and identity. 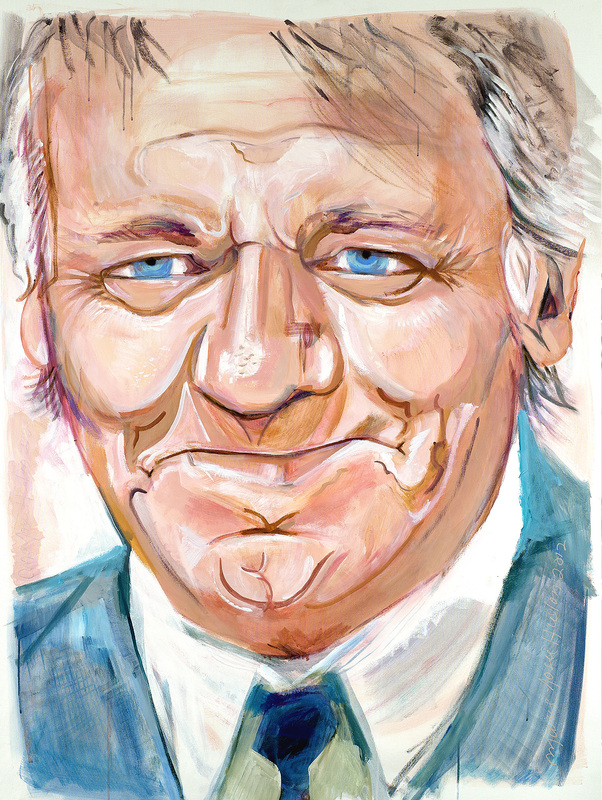 The song that he wrote with Dubé was called “Notre place,” and it touched on the French language from the perspective of those who speak it by mentioning the names of several francophone cities and towns in Ontario such as Pointe-aux-Roches (Stoney Point), Orléans (Ottawa), Lafontaine (Tiny), North Bay and Fauquier (Fauquier-Strickland). Performed for the first time on 18 November 1989, the piece was enthusiastically received thanks to its emotionally charged words and rhythms. Since then, “Notre place” has become the official anthem of Franco-Ontarians. The song was recorded with the voices of Paul Demers, Robert Paquette and the Manitoba group Hart-Rouge. From 1997 to 2002, during the fight to save Ottawa’s Montfort Hospital, the song found new resonance, becoming a rallying cry for the francophone community in Ottawa. Five years after his first cancer diagnosis, Demers was faced with a return of the disease, and he underwent an autologous bone marrow transplant. Once again, he bravely won his fight with cancer, which remained in a latent state until near the end of his life. CANO (Coopérative des artistes du Nouvel-Ontario), which brings together artists so that they can join forces and have a greater presence in the community, gave Demers the idea to found the APCM, which he did on 5 March 1990 along with about 20 other artists, including Jean Malavoy. They received a grant to start up, and, after only three years, they had the tools necessary to record and distribute albums, opening the door for many francophone artists outside Quebec. Today, APCM boasts more than 100 artists and musical groups in its roster of members. At the Festival International de Louisiane in Lafayette, Louisiana, Demers was introduced to the world and festive atmosphere of Cajun music. He returned home with melodies in his head and composed a song in the zydeco style for his daughter Magali. In the song, Demers compares Magali with the women of Louisiana, whom he considers the most beautiful girls in the world. In 1990, he released his first self-titled album, Paul Demers, which combined pop-rock, blues and sentimental sounds. The album fell short of receiving unanimous critical acclaim, but it was a great success with the public, leading Demers to tour across Canada and the United States, and even to France. In 1994, Demers appeared in a “pop opera” along with performers Daniel Lavoie, Jean-Guy Moreau, Laurence Jalbert and Mario Chenart. Demers sang the song “Lindberg” as a duet with the intense and masterful Louise Forestier. Laurence Jalbert (photo Jean-Charles Labarre). In 1999, Demers released his second album, D’hier à toujours (From yesterday to always). 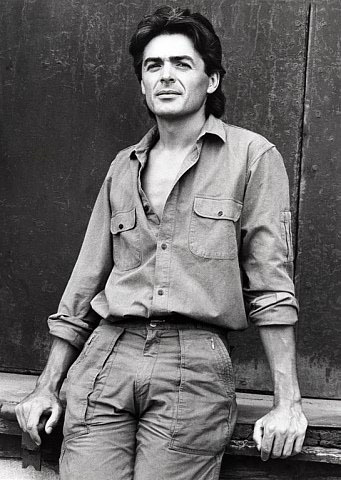 The album included “Un jour j’irai dans l’Nord” (One day I will go to the North) which he originally envisaged as a call-and-response song. The title track, which features the sound of Irish music, is among the noteworthy songs on the album. Throughout his music career, Demers also worked as a cultural animator in schools, where he led workshops on songs and about the technical aspects of performing. In 2000 and 2001, he went into self-exile in southern Saskatchewan, where he ran workshops for teens. Demers also hosted a radio show on Radio-Canada, replacing another Franco-Ontario artist, Michel Lalonde (a founding member of the group Garolou). During this time, he discovered the beauty of the Northern Lights as well as the breathtaking panoramas of the prairies and horizons, which he compared to being on the ocean. These vast spaces became key themes in his writing and poetic works. When Demers returned to the Ottawa Valley, he continued to be involved in the school system, particularly at École Samuel-Genest in Ottawa, where he shared his experience and was always on the lookout for new talent to nurture. Demers’ third and final album, Encore une fois (One more time), came out in 2011. Produced in collaboration with Damien Robitaille, the album is a collection of songs that Demers had carefully accumulated during his many years in music. He returned to the stage at the FrancoFolies in Montréal and at the Nuit sur l’étang in Sudbury, and, in 2013, he won the SOCAN Songwriter par Excellence Award. On 29 October 2016, at the age of 60, Demers died after being diagnosed with cancer for a third time. Sadly, this bout proved incurable. A few weeks before his death, Demers attended the opening of an elementary school in Orléans, called “Notre-Place” in honour of his most famous song. Composed almost 30 years ago by Paul Demers and François Dubé, this song, which now forms part of Franco-Ontarian heritage, is sung every 25 September on the Journée des Franco-Ontariens et des Franco-Ontariennes (Franco-Ontarian Day; see Franco-Ontarian Flag). 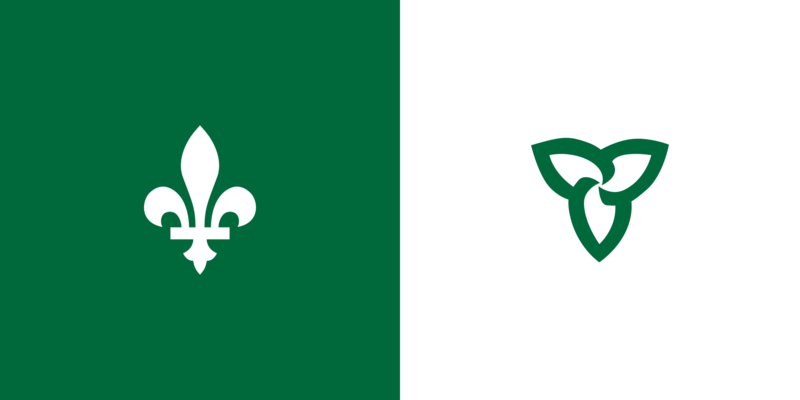 On 2 March 2017, following a campaign led by the APCM, the Assemblée de la francophonie de l’Ontario and Ottawa’s Montfort Hospital, Queen’s Park adopted a motion making “Notre Place” the official anthem of the Franco-Ontarian community. See also Chansonniers; French-language popular music.